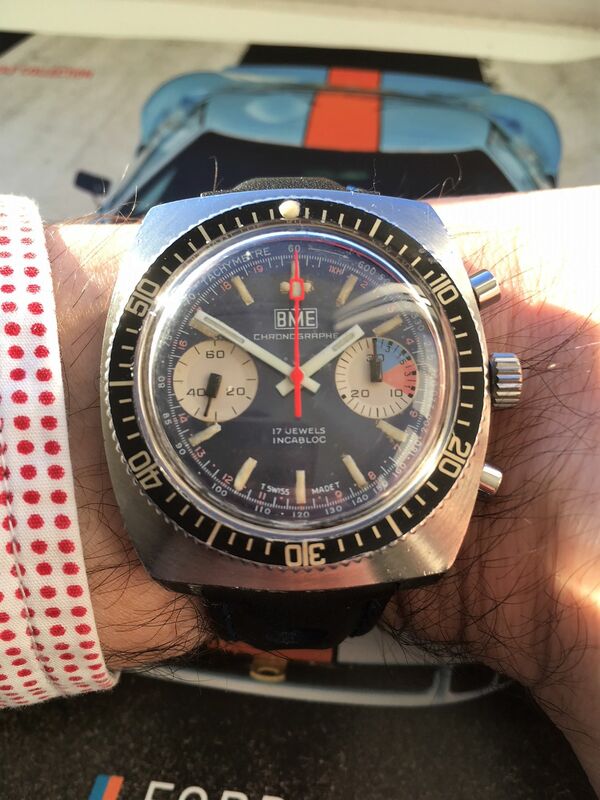 For sale from my personal collection is this amazing big block BWE Yachting Chronograph in a diver case featuring a Valjoux 7733 movement. 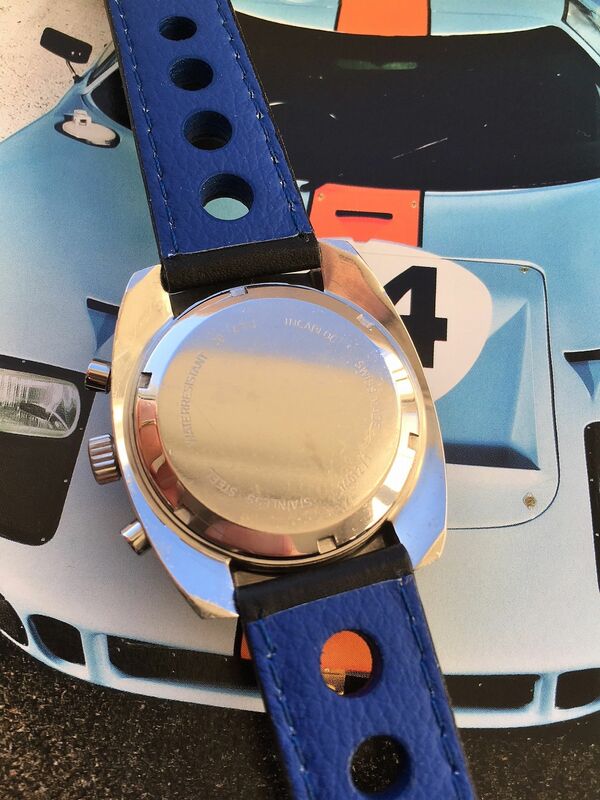 The watch is in an amazing condition, it has got a very cool acrylic high bubble domed crystal and a beautiful sunburst blue reverse panda dial with stepped white nautical subdials. The chrono hand is bright neon orange, the bezel rotates unidirectional and is in perfect condition, the original pip is still in place. 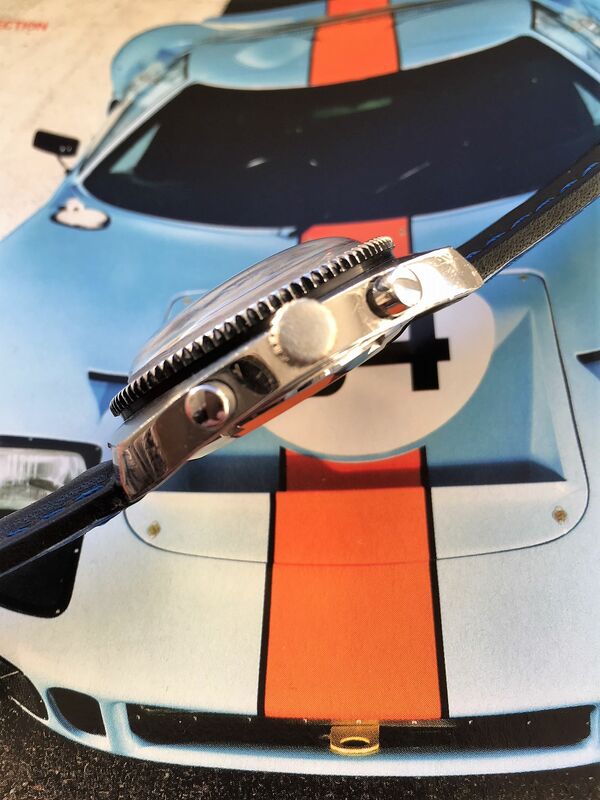 The big block stainless steel case has got a lovely sunburst finish on top and is in a great condition without any major scratches. 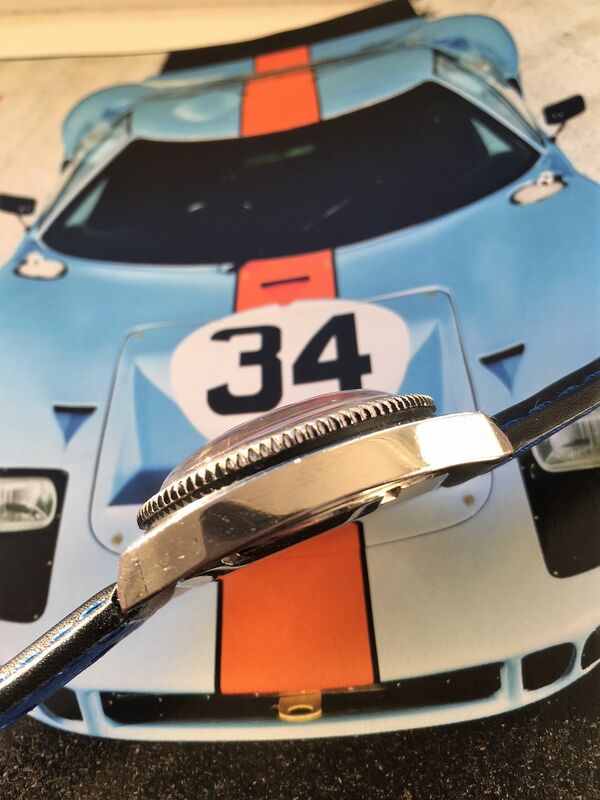 Diameter without the crown is 40.4mm, with crown 43mm, 43mm length, 15,25 mm thick, because of the form of the case it even wears bigger than the numbers suggest. 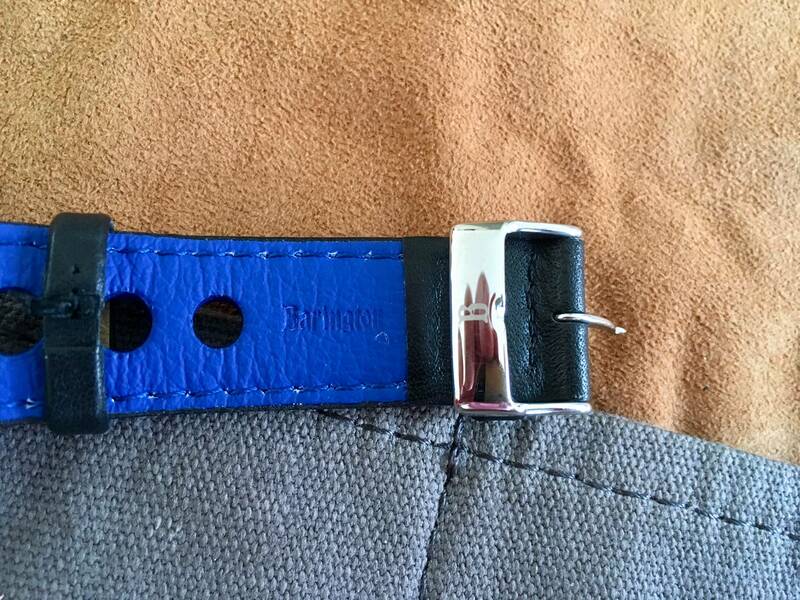 Lugsize is 20mm and the watch comes on a new Barington rally strap. 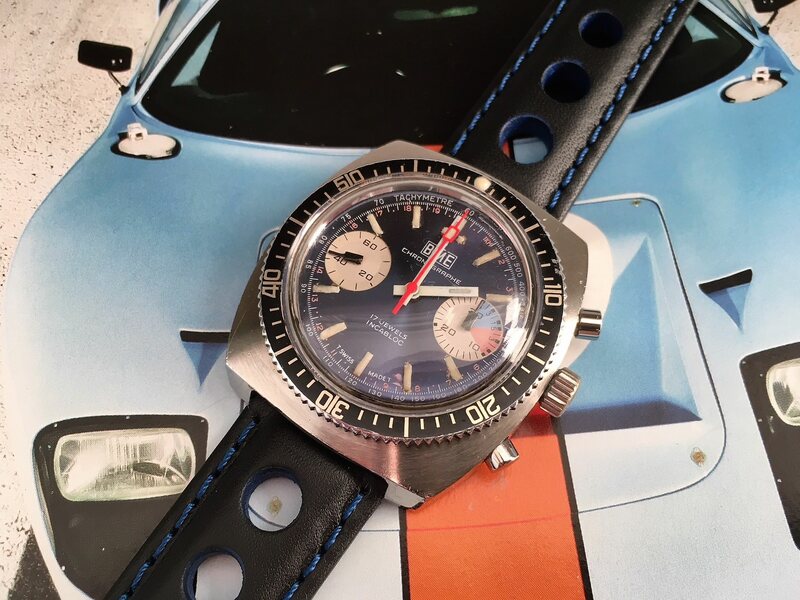 Service: No service history, it keeps good time, winding and setting the time are very smooth, the chronograph is working as it should and resets perfectly, pushers work crisply. 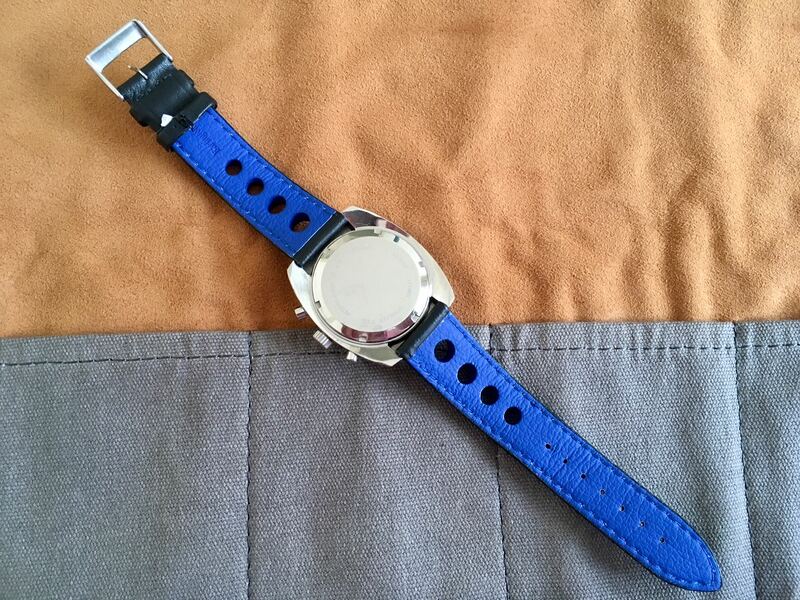 I am not a professional watch seller and this watch is part of my private collection. Every watch is described to the best of my abilities. I consider the pictures part of the description and do not accept refunds. 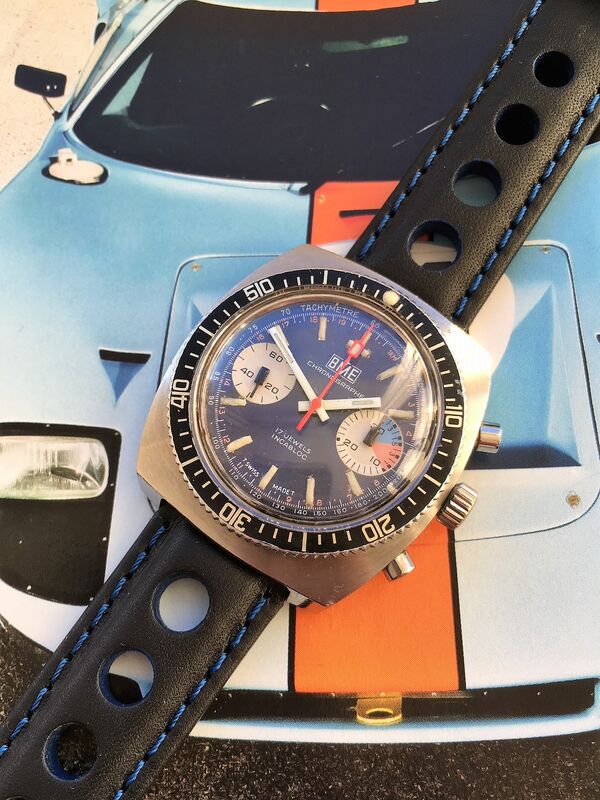 Please note that vintage watches are not as precise functioning and waterproof as a modern day watch. Please ask any questions beforehand and I will answer them.